Cedric Antonio Kyles was born on 24th April 1964, in Jefferson City, Missouri, USA. He is recognized under his stage name Cedric the Entertainer as a television personality, comedian, actor and director. All those are important sources when it comes to accumulating the net worth of Cedric the Entertainer. He has been active in the industry since 1987. Is Cedric the Entertainer rich? It has been estimated that the current amount of his net worth is as high as $15 million. Although born in Jefferson City, Missouri, Cedric was raised in Caruthersville, Missouri. While studying at high school, a rash appeared on his head which became the reason for wearing a hat throughout his entire career. He is a graduate of the Southeast Missouri State University. Cedric’s success story begins with an appearance on the talent show competition “Showtime at the Apollo” (1987). Immediately after that he achieved the position of host in the stand-up comedy show “ComicView” (1993 – 1994). In addition to this, he also appeared as a stand-up comedian in another show entitled “Def Comedy Jam” (1995). Afterwards, he was able to reveal his talents when appearing in the main role of the sitcom “The Steve Harvey Show” (1996 – 2002) and sketch comedy show “Cedric the Entertainer Presents” (2002 – 2003). He has also voiced Bobby Proud in the animated comedy “The Proud Family” (2001 – 2005). Currently, he stars in the sitcom “The Soul Man” (2012 – present). As well as acting and voicing various formats of comedies, Cedric has also professionally hosted game shows including “It’s Worth What?” (2011) and “Who Wants to Be a Millionaire” (2013 – 2014). 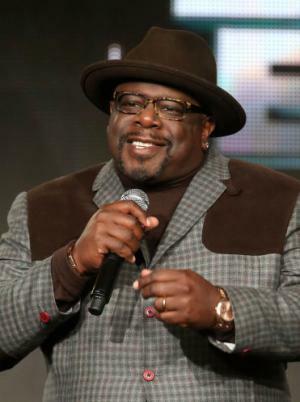 All the above mentioned appearances have added much to the overall amount of Cedric the Entertainer’s net worth and fame. Another significant part of Cedric the Entertainer’s career is cinema. He debuted on the big screen with a role in the main cast of the film “Ride” (1998) directed and written by Millicent Shelton. Soon, he starred alongside Steve Harvey, D. L. Hughley and Bernie Mac in the comedy film “The Original Kings of Comedy” (2000) directed by Spike Lee. Later, he appeared in the main cast of the following films: “Barbershop” (2002), “Intolerable Cruelty” (2003), and “Barbershop 2: Back in Business” (2004). In 2004, his outstanding talent and his efforts were appraised by the BET Comedy Awards nominating him as the Outstanding Lead Actor for his role in the film “Johnson Family Vacation” (2004) directed by Christopher Erskin. Moreover, he starred in the film “The Honeymooners” (2005) directed by John Schultz and received a nomination in the Black Movie Awards for the Outstanding Performance by an Actor in a Leading Role. Furthermore, Cedric the Entertainer landed roles in such films as “Welcome Home Roscoe Jenkins” (2008), “Dance Fu” (2011), “Larry Crowne” (2011), “A Haunted House” (2013) and “Top Five” (2014) which have also added amounts to his wealth. In addition to this, he has voiced various animated characters like Maurice in the “Madagascar” franchise films, Leadbottom in “Planes” and others. In 1999, Cedric married his first and the only wife Lorna Wells. They have three children together. 1 I've been blessed to have a long career. 2 I love stand up and it keeps me grounded, to say the stuff I have been thinking without anyone changing it. 3 It is a big world that we live in, and people have a choice to love who they love. 4 Politics move, as fast as Twitter, and for everyone to think that in four years America was going to be perfect is ridiculous. 5 I want to be a little more dramatic nowadays. I definitely want something big and funny, but I look for things that can just have people see me in a different light and let me mature as both an entertainer and an actor and a comedian. 6 We as comics do want an immediate response from the audience. It's really quiet on the set, and there are only the producers, and the director, so a comic is looking for someone to give a reaction, even if it is the camera guy. 1 Friend of Bernie Mac. 2 Attended Berkeley High School in Ferguson Florissant School District. Each year he gives out a scholarship to a graduating senior through his Cedric the Entertainer Charitable Foundation Inc. The motto is, "Reaching Out...Giving Back". 3 Cedric was the subject of controversy when his opinionated character in the film Barbershop (2002) made unsavory remarks regarding Martin Luther King and Rosa Parks. These comments were spoken in character, were part of the script, and he has never apologized for them. 4 Appeared as the lead comedian at the White House Correspondence Dinner but jokingly remarked that he was unprepared because he thought that he would follow a humorous speech by President George W. Bush but instead followed First Lady Laura Bush who he commented was very funny. 5 Sister Sharita Kyles Wilson is the foundation director of the Cedric the Entertainer Charitable Foundation, Inc., which provides college scholarships to high school graduates. 7 Daughter Lucky Rose was born to him and wife, Lorna, in November, 2003. 8 Is a member of Kappa Alpha Psi Fraternity, Incorporated. 9 Worked at State Farm Insurance before making it big in comedy. Majored in Mass Communication at Southeast Missouri State University. 10 Has one son, Croix with Lorna and has a daughter, Tiara from a previous relationship. 2011 Soul Train Awards 2011 TV Special performer: "Rockit", "This Is How We Do It", "Big Things Poppin' Do It"
Barbershop 2: Back in Business 2004 performer: "Your Precious Love"